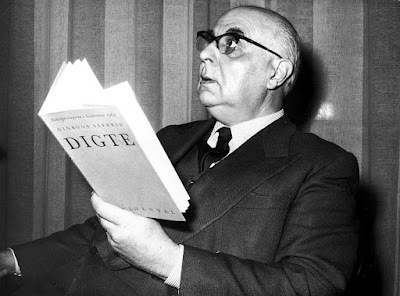 Giorgos (George) Seferis was the first Greek to win a Nobel Prize in Literature. -Born in 1900 in Smyrna (now Izmir, Turkey). -Moved to Athens in 1914. -His father was a professor at the University of Athens and a translator. -He studied at the University of Paris in 1918, then he moved back to Athens and worked for the Royal Greek Ministry of Foreign Affairs. -His job allowed for him to work in Albania and England. -Smyrna was taken over by Turkey in 1922 and The Great Fire of Smyrna destroyed much of the city. Him and his family became exiles. -Germany invades Greece in 1941 and so he left with the government in exile. -They went to Egypt, Italy, and South Africa, until they were able to return in 1944. -He became a Greek ambassador to the United Kingdom in 1957. -Won the Nobel Prize for Literature in 1963. Seferis' poem has many links to The Odyssey. 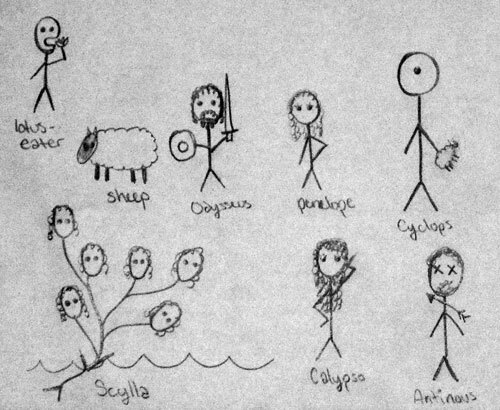 I found this drawing/diagram online, it shows some of the obstacles Odysseus faces on his journey back home. -The first line is the foreign line from a sonnet by the French poet Joachim du Bellay. This causes Seferis' to reflect on this line and how it relates to him. -the "love" he is explaining is his love for his home, which calls to him. -The Cyclops, Sirens, Scylla, and Charybdis are obstacles Odysseus faces. In the poem, they are used to show how Odysseus wants them to "banish" these obstacles from their memory so that he is seen as a normal person. -He is normalized in order to provide hope that Seferis can be like Odysseus. That he will survive and return home like Odysseus did. -"Alien land" references Seferis' exile and displays feelings of loneliness and a longing to return to his home. -"warmth of his house, and the dog grown old waiting at the door" further depicts his yearning to return home (Smyrna), similar to Odysseus wanting to return to his home (Ithaca). -"as it was spoken three thousands years ago" bridges ancient Greece to modern Greece. -The sailors that "sing to me in my childhood the song of Erotokritos" (Erotokritos is a book written by Kornaros, a Cretan poet, during the 17th century) displays another link to ancient Greece and that he misses his home. -"unruffled blue sea" refers to Greece and offers hope as Odysseus gives him this beautiful sea during winter. -Odysseus serves as a guiding figure and comparison to Seferis as he copes with exile. He thinks Odysseus can teach him "to build a wooden horse so I [Seferis] may win his own Troy". 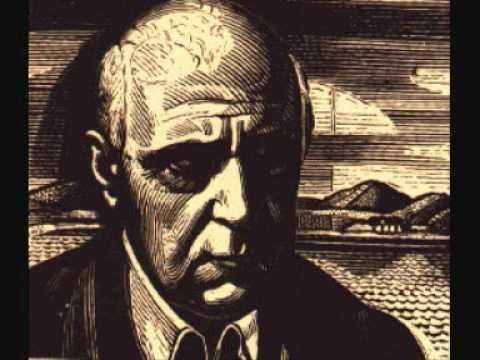 -Troy could be symbolic of Seferis one day returning to his home or making a new home in a foreign land. I love the stick figures!!! Here is a bunny photo to brighten up everyone's day! I found this baby bunny relaxing on a pile of wood in my backyard.